We're still living college-chic, with two armchairs (one which I salvaged in my college days from a pile of furniture beside the dumpster, of course) and a coffee table for our main seating, but all the gross 70s rugs are gone! Construction isn't QUITE finished -- there's still a length of back-hallway that needs to be tiled -- but we're no longer getting up at 7 in the morning to hustle the cats into the basement in time to let the contractors in, and that alone is a glorious thing. We're also still in the process of setting up our new room, and the books are still in sad boxes, but we'll get there. 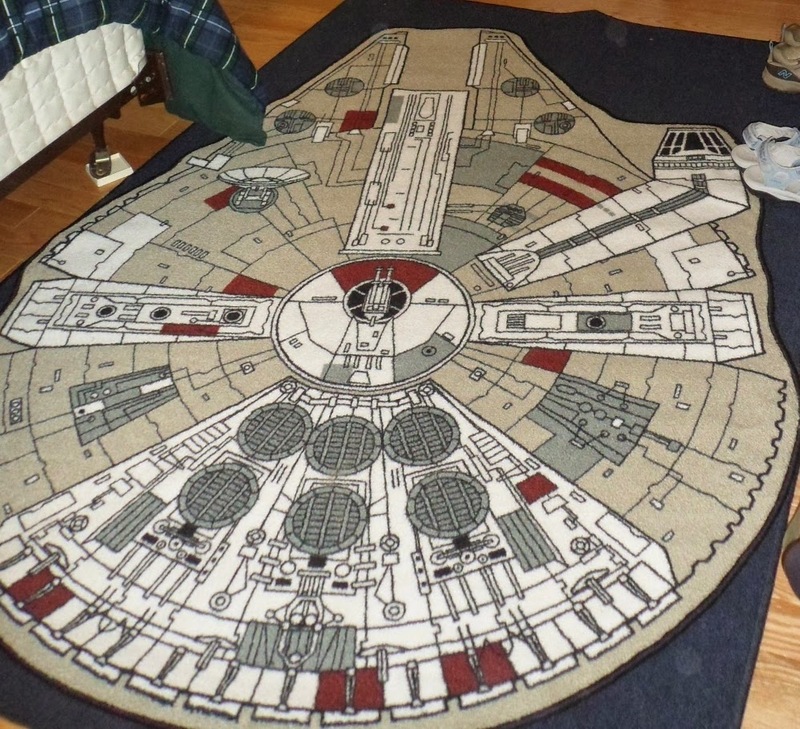 Because if you can't put a Millennium Falcon rug on your floor as an adult, when can you? Thanks!! It's pretty awesome and fits the space almost perfectly!